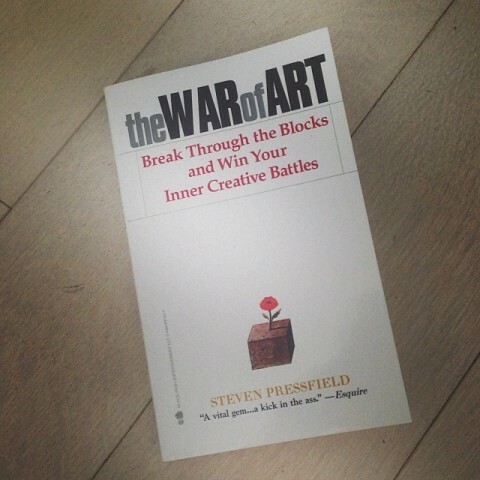 The War of Art by Steve Pressfield is an absolutely fantastic read. I have barely been able to put it down since I started reading it last Friday. It will (and already has) completely changed the way I look at ‘resistance’ in work and life in general. If you enjoy the War of Art I would definitely recommend Steve’s follow-up, Turning Pro. He elaborates even further on Resistance. Great read. I had the same “obsession” develop when reading The War of Art. I have recommended it to several people. I even did an entire podcast about the book. War of Art has kept me going through many a difficult battle in the process of becoming a painter. I’m glad you are enjoying it! That and The Dip by Seth Godin are my top two work books of all time, keep recommending them to friends who want to be self employed! I’m a huge fan of that book. If you’re looking for another great book that tackles a similar theme of the resistance, Wake Up and Live by Dorothea Brande (written in 1936!) is amazing. It’s one of the best books I’ve found that discusses the act of self-sabotage that many creatives engage in. It’s funny. I bought it and arrived just today when I’m reading your post.